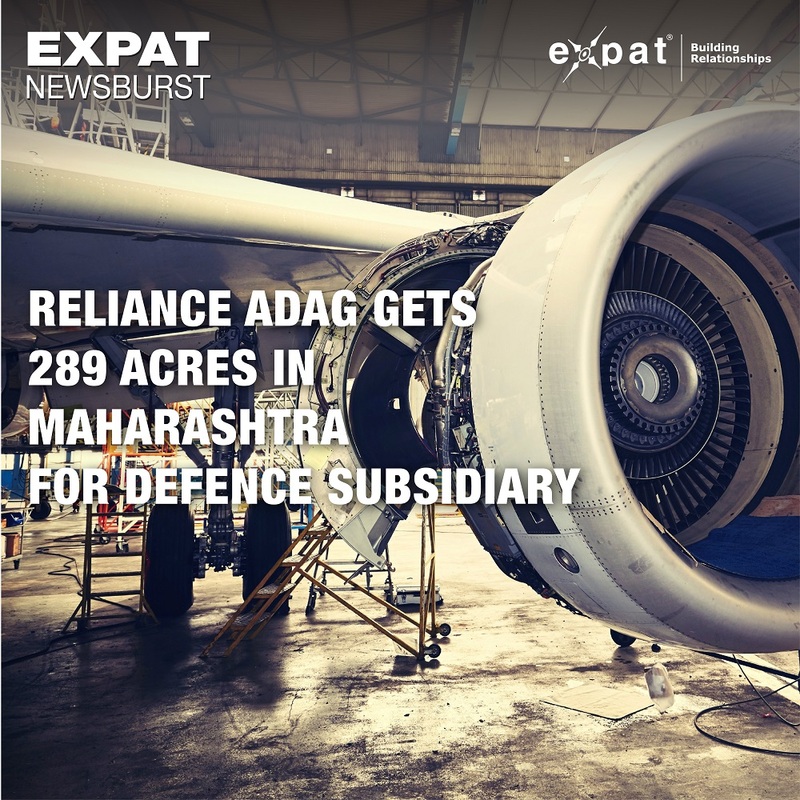 The Expat Compass: Expat NewsBurst: Reliance ADAG Gets 289 Acres in Maharashtra For Defence Subsidiary. Expat NewsBurst: Reliance ADAG Gets 289 Acres in Maharashtra For Defence Subsidiary. The Maharashtra government on Friday alloted 289-acre land in Mihan SEZ, Nagpur, to Anil Ambani-led Reliance Group. The land has been allotted to Reliance Aerostructure — the defence arm of Reliance ADA Group. This will be the largest greenfield project in the aerospace industry with the capital investment of over Rs 6,500 crore. On this land, the Reliance ADA Group plans to build world-class Dhirubhai Ambani Aerospace Park (DAAP). Mihan was selected over other sites because of its world-class facilities and infrastructure like Medi city, availability of top-class managers, due to its proximity to IIM, disciplined work culture, Airfield and Air Space for Flight Tests, proximity to international airport, excellent telecommunications connectivity and social infrastructure among others. The park will be developed on the lines of Smart City layout and will offer ‘One Stop Hub’ for all the Aerospace requirement. In the Dhirubhai Ambani Aerospace Park, Reliance group will set up assembly lines and manufacturing facilities of fixed wing aircrafts, aerostructure for commercial transport aircraft, Helicopters for defence and commercial use. The ADA group has been picked by the Russian government for a Rs 6,000-crore ($925 million) potential deal to make 197 helicopters for the Indian Army and the Indian Air Force. Under the largest deals under the “Make in India” programme, the 197 `Kamov 226T’ helicopters to replace the Chetak-Cheetah fleet will roll out of DAAP in a few years.